Site Navigation is one of the most fundamental issues with search engine optimization. Site Navigation is an essential component of a website and must be prepared keeping in mind both the search engines and the user. Navigation for Search Engine- Make sure all the menus (site pages ) are accessible by the search engine bots. Navigation for User- It should be user friendly with ease in navigation with proper choice of colors. Secondary Header Navigation- The Navigation menus are displayed under the first header. 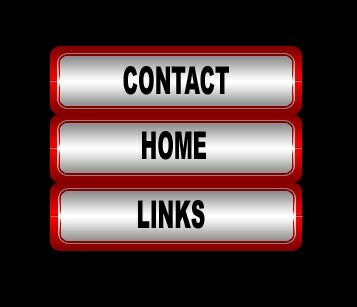 Drop Down Navigation- Additional drop down menus are displayed as a drop down from the header menu. Breadcrumb Navigation- Helping users to track their location. Useful for large sites such as E-Commerce websites. Flash Navigation- Used to make the site more attractive (Not search engine friendly as the crawlers find it difficult to crawl Flash based websites). 1- Keep navigation simple and use basic HTML Text based navigation to prepare it. It's beneficial for both the user and the search engine crawlers. 3- Use breadcrumbs and category navigation for large e-commerce websites. 4- Use direct static HTML link to every inner page of your website. 5- Do not use more than 100 links per page as the search engine crawlers might ignore large volume of links from a single page. 6- Test your navigation with a help of a text browser like lynx. You may also see the cached version of your webpage on Google to see whether the menus can be crawled well by the bots. How to present content on a website ? What is good content ? What is a Twitter Hashtag ? 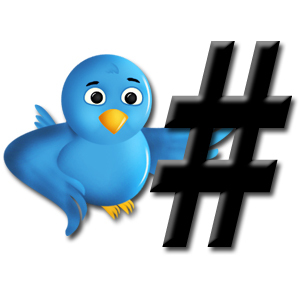 A twitter hashtag ( #) is a normal hash symbol used specifically to categorize keywords on the popular micro blogging site, Twitter. It is a way to search global tweets. Suppose you want to find out all the tweets mentioning seo then you will have to precede the hash tag before your search keyword. In this case, it would be #seo . An Orphan Page is a page on a website with no inbound links. No other page links back to an Orphan page , hence the term “Orphan” is given to these pages. These type of pages serves no useful purpose as they are present on the website but no other page provides link back to these. As such, no link juice passes on to these pages. In the example above, if the page thispageisorphan.html receives no backlinks from any of the pages of seosandwitch.com , then the page would be termed as an “Orphan Page”. Remember this page would be present on the server, i.e if you open the url directly, it would get open and show its contents but you won’t be able to find this page from any other pages of the website as no link to this page would be provided from those pages. *The url used is just for example purpose, no such page exists on the site. Does Google crawls Orphan Pages ? Probably Yes, leaving the exception that if you have not used robots.txt or meta robots tag to exclude it from search index. How Google does finds Orphan pages if no other pages link to it ? There are several ways for Google to find your site- If your site is having sitemap.xml then the Google bot might have found a reference to the page from there. If your site is in wordpress then Wordpress may ping the updates of new post to several sites , making way for Google crawlers to find it. Some people even say that Google finds it with the help of Google toolbar. What is the difference between crawling and indexing ? Crawling means finding a web page with the help of spiders , while indexing means including a web page in the search engine index. Is sitemap.xml an orphan page ? It is an Orphan page but you submit this Orphan page to Google to direct the search engine crawlers to find more pages on your site. Hence, you make a way for this Orphan page to get recognized by Google. Learn Seo from the comprehensive Seo blog , Seosandwitch. Content curation is an art of compiling information from a variety of sources and presenting them in a creative manner in front on your audience. Content curators compile the already available information from a variety of resources scattered around the web and compile them together in an organized fashion before their audiences. 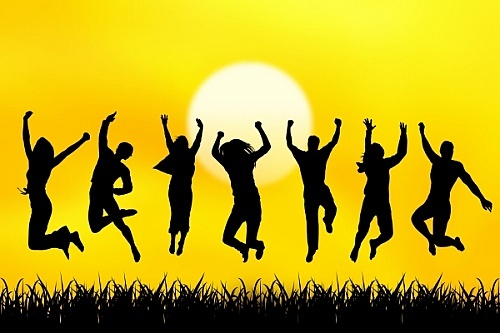 The curated content form a bunch of related content and satisfies specific user tastes. One may curate content on Cinema and gather the available content from the web together and all the cinema loving audiences might visit the content channel to find all the related information organized creatively in one place. This happens with the help of already available content curation tools. Content curation is different from content marketing in the way that the former uses available content on the web while the latter generates content on its own. It is the new form of content marketing and many businesses are using it as their marketing strategy. Curating content is easy, we have several tools which help in compiling information from several resources and presents then before our audience in an interesting manner. You need to have links to various resources which you want to compile and then you may head forward to any of the listed content curation tools listed below. This process is easier than content marketing and also fun. 1- Have adequate knowledge on the topic for which you want to curate content. 2- Gather possible sources of authority content. 3- Be versatile in choosing the sources i.e choose videos, infographs, slides, PDF's etc. 5- Find out images for sources that are not having images of their own. 6- Write a description with a universal appeal. 7- Start sharing the content at regular intervals remaining active throughout the day. 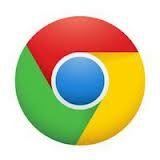 Google Chrome is a web browser from the house of Google that makes browsing fast and easier. There are several websites offering free Google Chrome themes that you can download and use in your browser. The page where people land after clicking on an advertisement is known as a “landing page”. These are specially created to generate sales and may contain text,images,videos or other elements. The goal of a landing page is to persuade user to do a certain action that may lead to sales. A landing page need not be the home page of the website. It is a special page created keeping in mind the targeted users. 1- Create specific landing pages for targeted users. 2- Limit the navigation and present the most important elements of your landing page to the user on the most visible area of the page. 3- You can experiment between different variations of your landing page and then choose the best out of them. 4- Choose a soothing background color so that it should not distract the user from fulfilling the main purpose. 5- Have minimum links on your landing page. 6- Use your keywords intelligently and have a neat and clean layout. 7- Have a catchy headline which persuades the user to generate a lead. 8- Analyze your conversion rate from time to time. Create Facebook Cover Photo - 49+ Websites you can use for free! This one is for the Facebook geeks! After you have activated Timeline on your Facebook profile, you can make use of these 49+ websites to change your cover photo and give it a look of your choice. We all know, photo reflects our personalities so why not give a personality touch to your Facebook cover photo? Login to your profile, click on get timeline and then click on publish it. You are done, now you can try out the numerous options available for changing your cover photo. After you have activated Timeline, its time to use the applications and free websites given below and get a customized and different cover photo for your profile. ﻿ Caching is a term used for naming the process of keeping the continually accessed files on a local area of computer so that the data retrieval becomes faster. Web caching is done with the help of web browsers like Mozilla Firefox, Internet Explorer, Google Chrome, Netscape,Opera etc. The browser keeps the visited objects in their cache as per the directives contained in the HTTP header. This in return increases the performances and renders the results much faster. 1- Browser makes a request to the site. 2- The server responds with a 200 OK response code and returns the requested page. 4- The returned objects comes with header containing the freshness information of the objects. 5- The browser stores the files and resources on its cache and when the user requests the same website again from the browser, it resends the requests to the server. The server returns 304 Not Modified response header, specifying the file in the cache of the browser is valid. 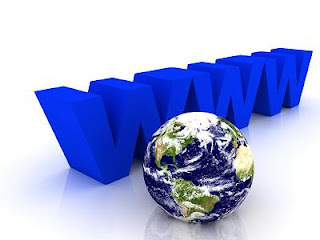 6- The browser presents the website to the user directly from its cache resulting in massive performance benefit. The site speed is an important factor in the seo process. The site that loads fast is loved by the user. You can eliminate the unnecessary waste of bandwidth by using the correct cache control headers which would result in increased user performance and a decreased server load. Header set Expires "Mon, 22 Jun 2009 13:00:00 GMT"
Search Engine Optimizers always look for special software which can ease their work to some extent. There are several Seo Software available in the market which could come handy for an internet marketer. This post shares big list of various seo software which you can use for your seo works. This one is for small business owners who want good rankings on search engines. This one is for companies who manage several domains at a time. This one comes straight from one of the most trusted sources of search engine optimization mentors- Rand Fishkin. This software is a boon for search engine optimizers as it provide you in depth data for almost all the tasks that you carry on a daily basis. It tracks your website's ranking on search engines, suggests changes fro your site,gathers data about your competitors, thus saving you a lot of time.It comes with a 30 day free trial then the software costs $99 per month(Pro edition). An interesting free software providing on page data, competitor analysis, tracking backlinks and search engine rankings, analyzing PPC competitors etc. You can download the software for free after registering. A powerful Seo software automating your regular Seo tasks used for promoting a website. You can automate the process of backlink building completely with the help of SENuke. You can free download SENuke. 1- Facebook pages are created for brands or business while groups are created for common discussion communities. 2- Facebook pages have search engine friendly urls, while groups have ugly urls. 3- Application support is available for Facebook pages but not for Facebook groups. 4- Page insights are available for Pages but are not for groups. 5- Pages display information on public domain, posts are visible to everyone while Groups may have closed or secret permissions. 6- You can customize a Facebook page, plenty of options are available but groups have limited customization. Google provides you with many operators and commands which you can use to save time while searching for specific information. These search tricks and useful tips might present before you instant answers which you never thought it even existed on Google. When you are searching for an exact phrase like Enid Blyton Biography then you may use the quotation marks (""). This would return the pages that has the exact phrase "Enid Blyton Biography" , in normal cases Google might use any of the three words from the search query while searching for webpages. Next time, if you want to find the exact local time of any city then use the local time in command. This would return the local time of London. If you want to find the local time of the place where you are present while searching on Google, just type local time and it would return time the local time of the place. Try it! This one is for movie freaks. If you want to know the showtimings of the movies running in your city then just type the showtimes command . This would return the list of movies running in your city with their genre language. You may click on any movie of your choice and find out the timings of shows. If you want to find out the showtimings of movie for a different city then add the city name post the showtime command- like- showtimes New York . The stock command helps you to find information about exchange rates with graphs. You need to add the abbreviation of the stock post the stock command. This would return the stock exchange rates of Mc Donald's Corporation along with a graph. You can find the definition of any word within seconds with the help of the define command . This would return the definition of brontide using sources like Wikipedia, Dictionary.com etc. Suppose it happens that you want to search for webpages from within a site, then you can use the site command followed by the + operator. This would return the webpages from the site seosandwitch.com containing the word google in them. Finding location of any region is rather easy with the help of the location of command. This would return the exact location of Nainital using Google maps. Instead of locating your systems calculator every time you want to calculate something, just type your calculations on the Google search box itself. This would return the addition of the numbers 45 and 89 i.e. 134. You may replace the + operator with - , /, * etc. The weather command helps to find out the weather related data of any particular city. This would return weather details of Mumbai city which includes temperature and weather forecast. You can use the population command for finding the population of a particular country. This would return the total population of India using sources such as World Bank or Census Bureau. If you want to find out similar content related to a particular website. Then you can use the related command. This would return webpages that are having similar content as Google. If you want to find out all those web pages that are having a particular word on the title of the document then you must use the allintitle command. This would return all the pages that are having the word "Rose" in their title. Keywords are the most important part of Seo. Before you actually start promoting a website, you need to choose your keywords carefully. These short or long phrases might directly affect your business growth. These are those words that people type in Search Engines to fetch the desired results. This is a free tool provided by the search giant itself! This tool provides the Google search data for user queries for the searched keyword. You can search either word or a phrase on this tool. You can find out the competition, global monthly searches and local monthly searches for the searched keyword. Tip:- Choose keywords that have a low competition but having a high search volume. Choose a mix of long tail and short tail keywords. Similar to Google Keyword tool but provides more keyword suggestions. This tool is a paid tool but comparing the options that it provides, it is worth buying. Many people often get confused between the platforms provided by Facebook and Twitter.This post would help you to understand the major differences between Facebook and Twitter. 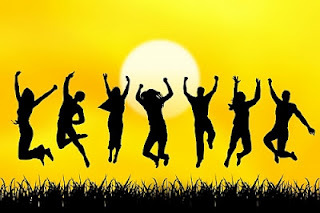 1- Facebook is more a social networking site where you can make friends often based on social interest . It allows you to post pictures as well. On the other hand, Twitter is more a micro blogging site allowing its users to post short messages (140 characters long) . 2- Facebook allows you to create pages for brands,business,social interest etc. while Twitter does not provide any feature of creating pages. 3- Facebook status updates remain active for a much longer period of time when compared to the Twitter updates. Tweets remain active for a short period of time. 4- Twitter allows you to find tweets based on certain topics with the help of # tag. Facebook does not have any such feature of tracking conversations. 5- Facebook allows you to create groups where you can send bulk invites to people whereas Twitter does not have any facility to create groups and to send bulk invites. 6- Facebook has a much larger user database than Twitter. How to present content on a website? Google Drive- Keep your files safe!